A new clip from If Beale Street Could Talk has been released, and it features the loft scene with Dave’s cameo appearance. 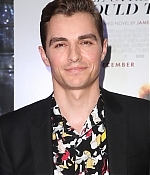 Dave stepped out last December 4th to attend a special screening of If Beale Street Could Talk in Hollywood, California. The film is set to be released in select U.S. theaters on December 14th, followed by a wider release on Christmas Day. 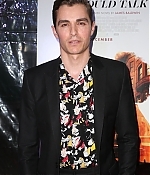 I have updated the gallery with high-quality photos of Dave at the event, huge thanks to my friend Mouza at Glen Powell Central! Dave attended this year’s GQ Mexico Men of the Year Awards last October 31st in Mexico City, wearing Dolce & Gabbana. Check out some photos in our gallery! Paris Fashion Week has begun! Dave and Alison attended the Saint Laurent show and posed for photos at the photocall. Check out photos in our gallery! Check out the official trailer of Barry Jenkins’ If Beale Street Could Talk. There’s not a clear shot of Dave’s cameo, but there’s a glimpse at the 1:36 mark! 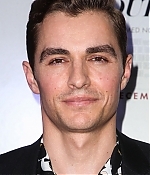 Dave has joined the ensemble cast of Michael Bay’s Netflix action movie, Six Underground. Manuel Garcia-Rulfo, Adria Arjona, and Corey Hawkins have also signed on to the big-budget action film led by Ryan Reynolds. No further details, have been officially released, but being the first to report the casting, Collider shared some possible info about the film. Not much is known about the actual plot of Six Underground, though the script was written by Reynolds’ Deadpool and Deadpool 2 scribes Paul Wernick and Rhett Reese, who will also serve as executive producers. Interestingly enough, the tone of the film is said to be in the vein of Deadpool meets Mission: Impossible. Reynolds will lead a team of four men and two women on some kind of mission to stop evil, so he’ll play One (naturally) and Franco is making a deal to play Six. Six Underground will start filming later this month and will be released worldwide in 2019.